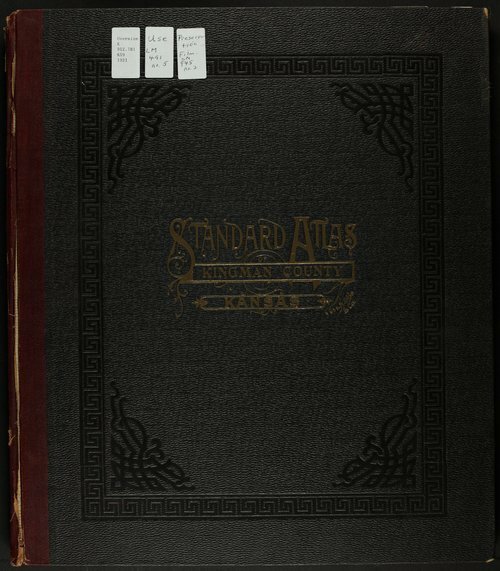 This atlas of Kingman County, Kansas, includes a plat book of the villages, cities and townships of the county with the names of landholders. It also includes a patron and business directory with photographs. It includes a map of the state and United States and world, and an analysis of the System of U.S. Land Surveys. Plats for the following cities and towns are included: Carvel Station, New Calista, New Rochester and Orsemus. Page numbers that are not included here are blank pages.